Two weeks ago when visiting a company in the B-Amsterdam building, was told this was actually a former IBM typewriter plant. Hadn't known that. From some quick online research; the complex housed the international factory and offices for IBM typewriters. 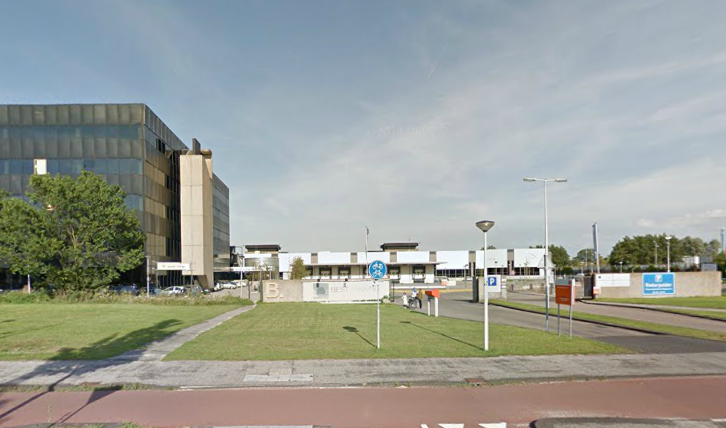 On the Google Maps streetview image; the office block is on the left and the lower factory building on the right. Rather uninspiring (to me, at least) 1968 office architecture. The lower factory building today houses a distribution centre for a parcel service. After being left empty for 15 years the office block is being used as a place for startup companies. The inside today looks very unlike a 1968 office, some images on the web site for www.b-amsterdam.nl (warning: obnoxious autoplay audio and video).